It isn't the mountains ahead to climb that wear you down. It's the pebble in your shoe. Screw tensile and making popcorn string thingies. I’m making these this Christmas. These are a series of LEGO Christmas ornaments/decorations made by LEGOManiac Chris McVeigh. He has the parts lists and illustrated instructions of how to construct each on his website. I mean seriously… who doesn’t like some clever logos. It is always inspiring to see how talented designers utilize this space to create shapes in a logo. I may be one of the few people that likes the iOS 7 design, but this is pretty sweet. there has been a number of iOS 7 redesigns that have become very popular. Here is another redesign by Sanat Rath. There are two 3-Pack versions available: ALES and LAGERS, limited to 10,000 3-Packs each. ALES features STOUT (dark brown-black), AMBER ALE (warm red), and INDIA PALE ALE (rusty orange). LAGERS features PILSNER (gold), BOCK (brown), and PALE LAGER (pale yellow). Each three pack comes bound in a chipboard belly band with a matching (ALES or LAGERS) 3.5″-diameter, 2-color, pub-style coaster, lovingly letterpress-printed in Chicago by our new pal Liz Isakson-Dado on a vintage press. The new FNC-20 “Drink Local” books feature heavyweight New Page Sterling Premium 120# covers with a “soft touch” varnish, giving them a soft, almost rubbery feel. The logo is varnished with a contrasting gloss, and each book is colored to represent a different brew, with a brief history of each style of beer on the back cover. Inside is our acclaimed Finch Opaque Smooth 50# text paper, with a “Hefeweizen” yellow-orange graph grid. It’s all bound together with bright gold staples. I’m a bit of a Field Nut and super excited about this release because I’m also a beer geek. My subscription hasn’t made it yet but I hope to pick a couple of these bad boys up from Brian at East+West. 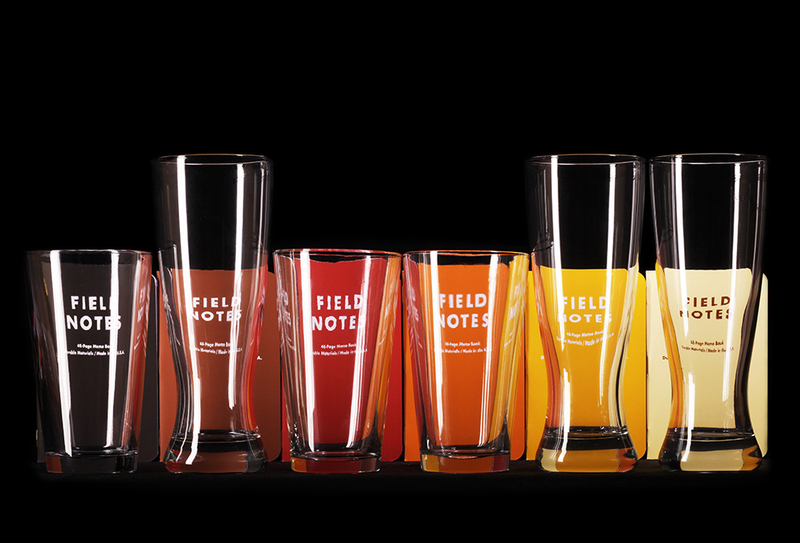 For those of you not in St. Louis, head over to the Field Notes website and get your set today. We’re just two weeks away from getting our new office. Super excited! Startup culture became known for several things over the years: hoodies, ping pong, beer consumption and really awesome offices.